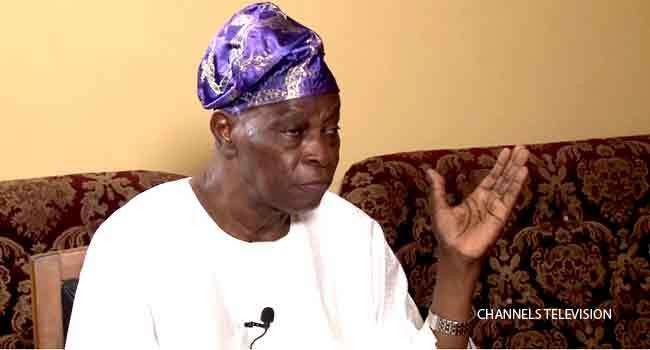 File Photo; The Chairman of the Social Democratic Party (SDP), Mr Olu Falae speaks to Channels Television on the herdsmen attacks in parts of the country. A former Presidential candidate and Chairman of the Social Democratic Party (SDP) Olu Falae, has announced that he will no longer be actively involved in politics. The decision according to him is a result of some health challenges. Falae made the announcement at a news conference in Akure, the Ondo State capital on Friday.